As all I seem to be doing is going into locks I thought I’d offer some information. 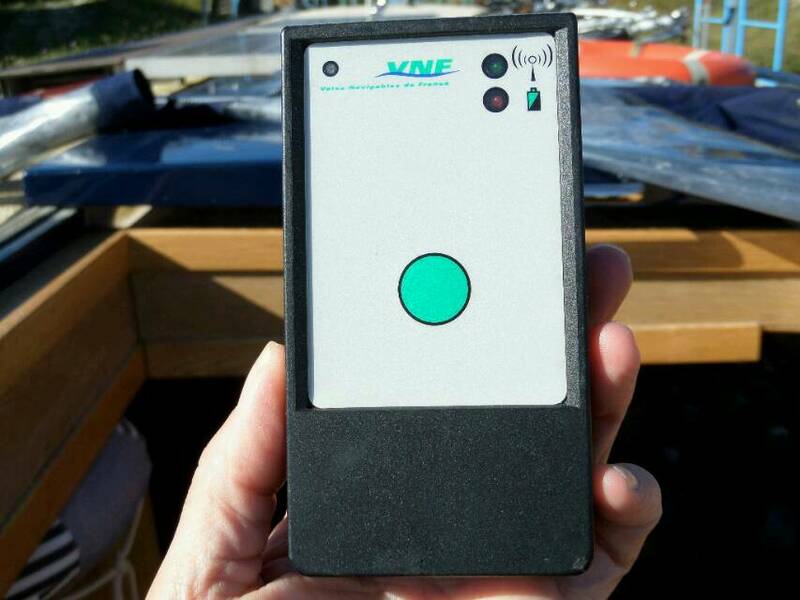 For some locks you get handed a remote control which sets off the setting of the lock when pointed at the sensor. 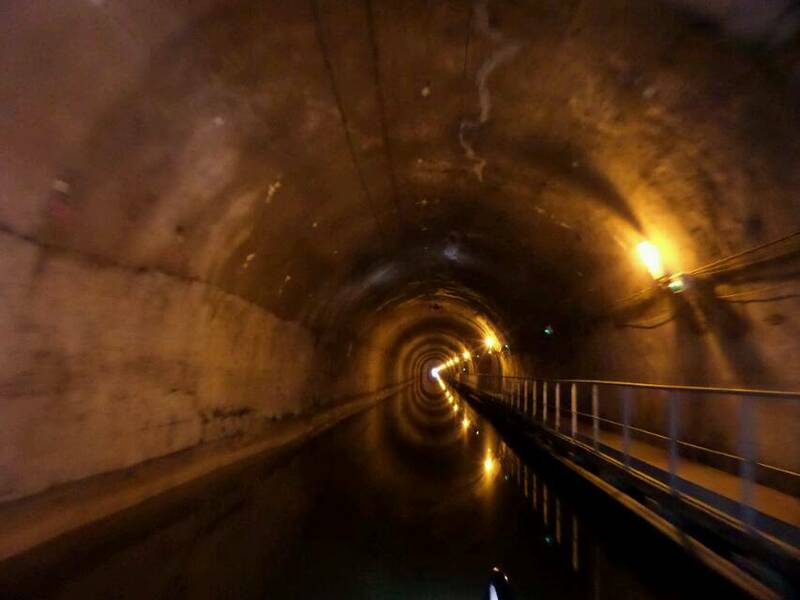 When you get inside the lock you have to push the blue rod upwards which can prove very difficult! The red rod is for emergencies and will stop the operations. 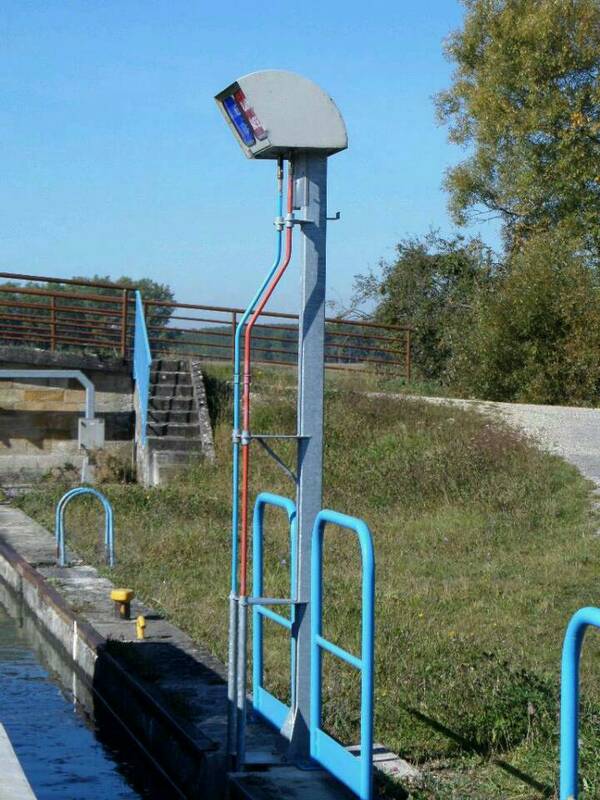 Yesterday all the locks were operated by sensors on the riverbank so no remote control needed and today I had to twist a long pole hanging down from over the canal. We have moored up for the night and the position couldn’t be more perfect. 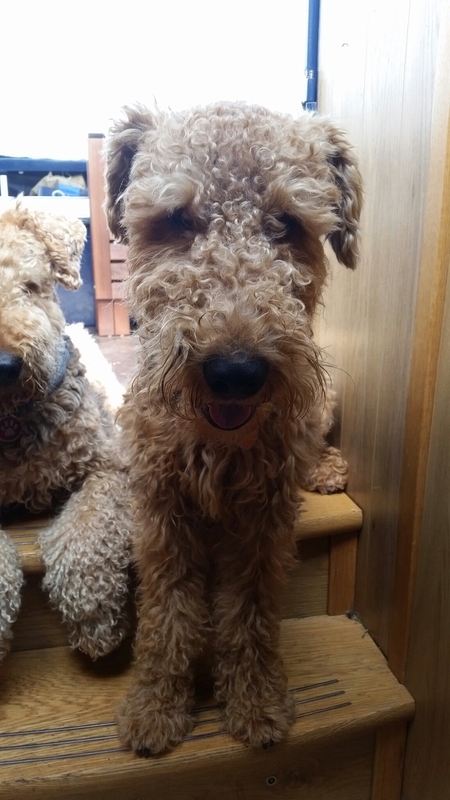 Plus there’s plenty of space for the dogs to run about. The sun is out so there’s a strong possibility of a barbecue occurring later! As all I seem to be doing is going into locks I thought I’d offer some information. For some locks you get handed a remote control which sets off the setting of the lock when pointed St the sensor. From Commercy we reached the problem lock … The problem looked quite small considering it had taken 2 weeks to mend. Ah well. We still needed to call the lock keeper to get the gates to open. As we couldn’t get Avalon close enough to the bank to moor I attempted a jump, ended up with one foot on the bank and one still on Avalon with Avalon moving away. Thank you Kev for the push. Not very elegant but I was on dry land. I got to know this particular lock keeper as he worked several locks that day for us, all were broken which was frustrating but we got through quite a few. We rested overnight in Sauvoy and continued the next day, going through 17 locks (I think) and a 5 km tunnel for which I stayed below and made a pizza for lunch. That day was ended in Treveray at a lovely mooring right in front of our next lock. True to his word the lock keeper turned up at 9 am to turn the lights to green for us so no hold ups. 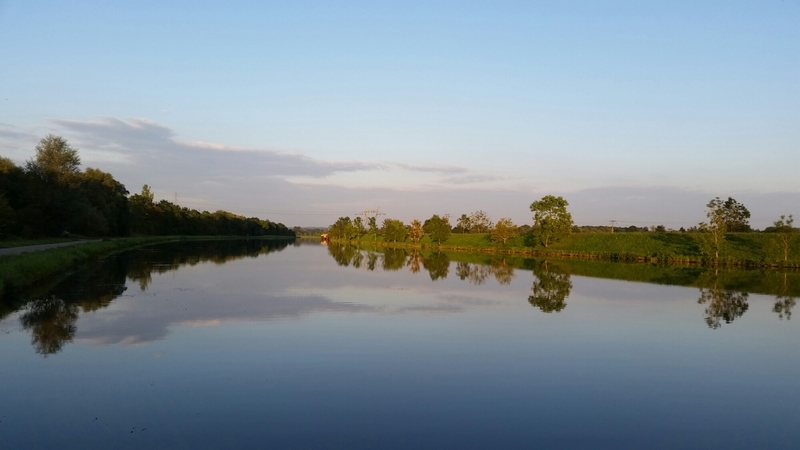 Yesterday we continued along and had a relatively short day by mooring in Ligny-en-Barrois. This is a delightful town where the locals seem extremely friendly. Indeed a man we got chatting to made a big fuss of Teddy and Herbie, called his wife to come and see and then beckoned us down the road holding a large iron key. We reached these big wooden doors which he unlocked and invited us in to this large dusty garage. Keeping the door open (just in case he was a mad man) I looked about in amazement. 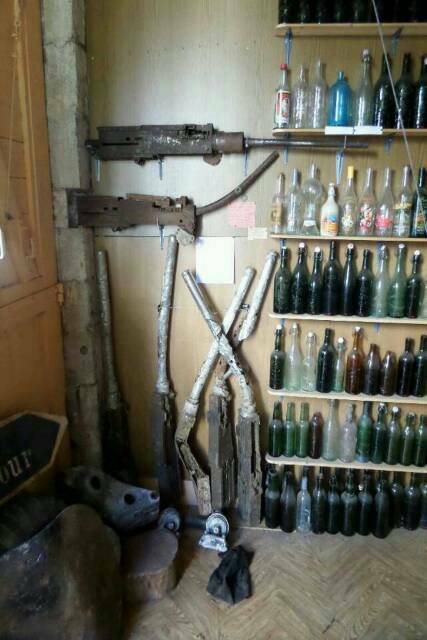 All sorts of war time memorabilia was laid about, including a WW2 jeep! 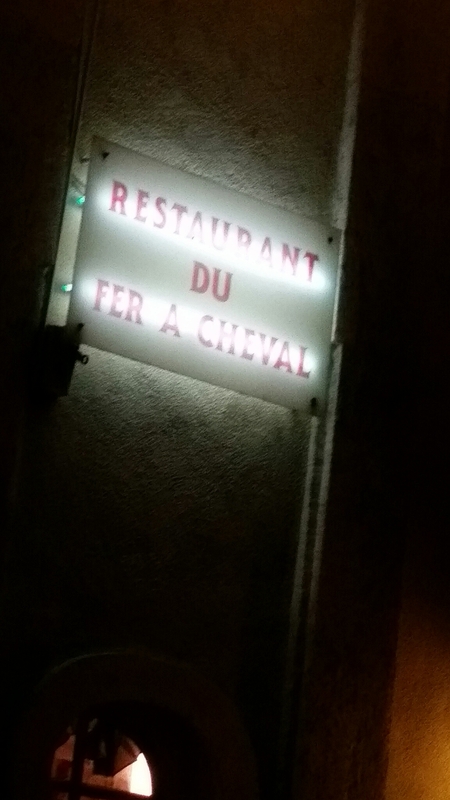 I gathered from my small understanding of French that the garage belonged to a friend of his and it transpired that to go upstairs to see more we would need to pay. All very interesting but no thanks! I also took this photo if his home with its unique (!) adornments. Naturally we stopped off for a beer before returning to the boat. 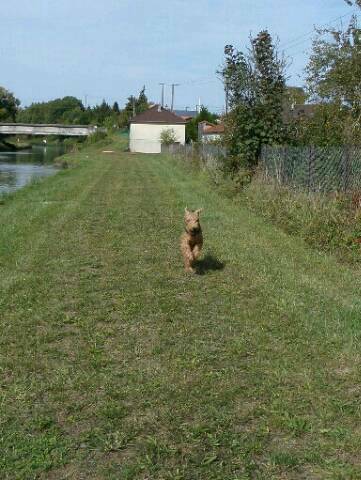 Later I cycled to the local supermarket and on the way back spied a lady with approx 7 Yorkshire Terriers which she kindly arranged out of my way. Ha ha as I passed her the dogs all leapt up at me insisting I stop and say hello. Oddly when Kevin passed them they ignored him! Since then we have been through nearly 40 locks and are now resting up for the night between locks in Sermaize-les-Bains. After getting the canopy fixed it was time to move on … aiming towards our winter mooring in Sillory so on Thursday we headed off. It was not a good day. Firstly the first lock keeper refused to answer his radio so I went up to his office and banged on the window. I seriously think he was asleep. Eventually he opened the gates and off we went … heading towards Void. After around 8 locks a lock keeper told us part of the canal was closed and had been for 2 weeks. We could not go much further. We decided to head for Commercy (the only place we were allowed to go) and moved on – leaving the locking hook behind. We had to moor up so Kev could go back and retrieve it. Both our moods were darkening at this point, with visions of being holed up somewhere for weeks. So at the end of a very long day and too many locks to mention (around 18) we stopped off shortly before Commercy and rested. Next day was better, we reached Commercy and moored at the town moorings. Kev moved the motor home nearby then went about finding out how long the canal was to be closed for. He was told it would be open Sunday. Hooray!! We celebrated with a meal out. 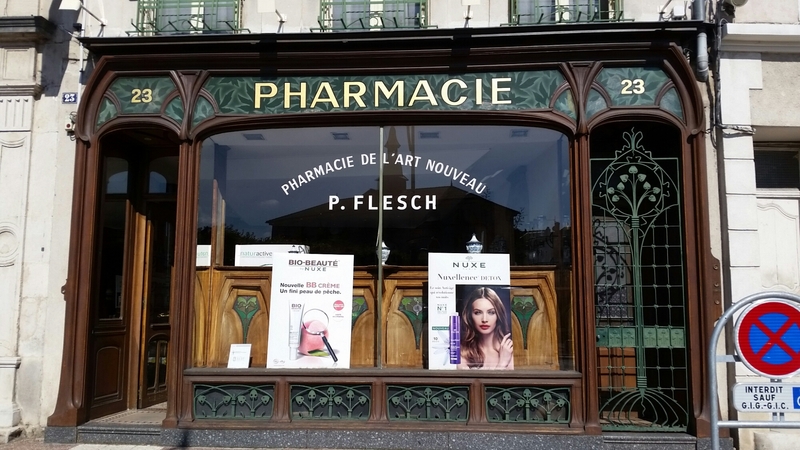 Commercy has some nice features and I took a photo of this art nouveau pharmacy. Sadly their display was hiding some beautiful wood detailing. 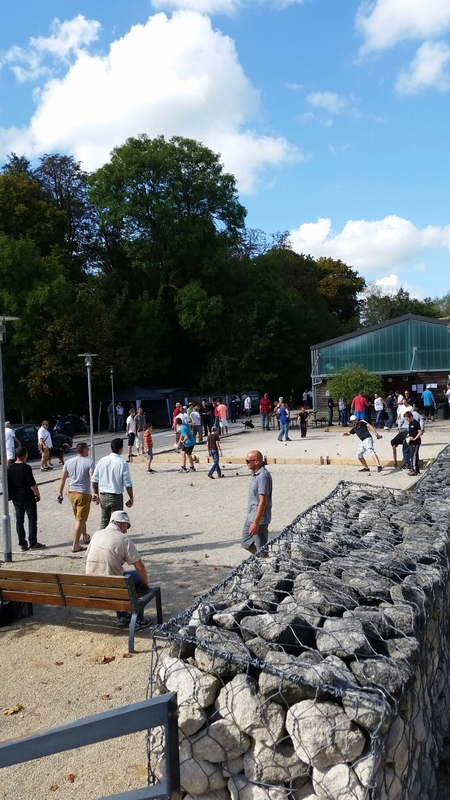 Yesterday there was a massive boules tournament going on just outside the moorings. Literally hundreds of people all very seriously playing. That is until Teddy decided he wanted to join in. Thankfully the disruption was taken in good part … just as well as I had to chase him through several games pitches! They continued playing late into the evening, aided by spotlights. This morning (Sunday) we headed off to continue our journey. No problems apart from the pelting rain until we reached Void where the canal had been closed. I leapt (was pushed) onto the bank to get to the lock and push the emergency button. The gentleman on the other end didn’t understand a word I was saying but somehow I got him to come out and get things working. Strangely when face to face his English was quite good! We are now moored a few locks down in Sauvoy for the night with no TV reception! For the third time we have moored up in Toul. A few reasons. Firstly it puts us back en route to our winter mooring. I also desperately needed to refill the fridge and the beer/wine situation was almost on red alert and the canopy needed to go back to the menders to correct Kevin’s error of judgement the first time around. 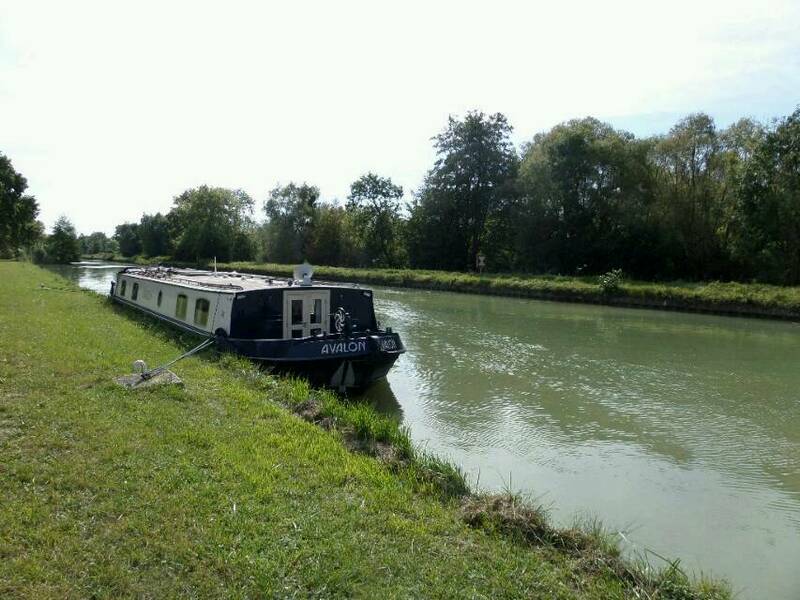 Plus Toul is nice enough and the dogs love the mooring. I can’t really show you anything new about Toul so here’s a pic of Teddy looking cute. Here’s Herbie trying to muscle in on the shot. I love food shopping here. There’s so much we don’t have in the UK – some good and some bad. 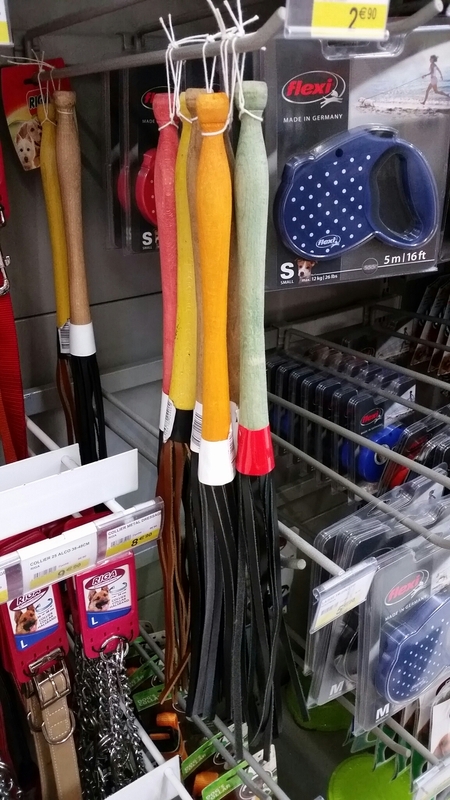 I mean, what’s with these whips in the dog accessory aisle? It that how they train their dogs in France? Apparently to get to Sillery for the winter mooring we have to go through 128 locks. I can’t say I’m looking forward to that! I think I’ll be ticking them off mentally … and possibly dreaming about them each night. I’ve finally sat down to type another blog entry. I seem to have been busy one way or another! I’m probably going to miss out bits but you’ll get the general idea! 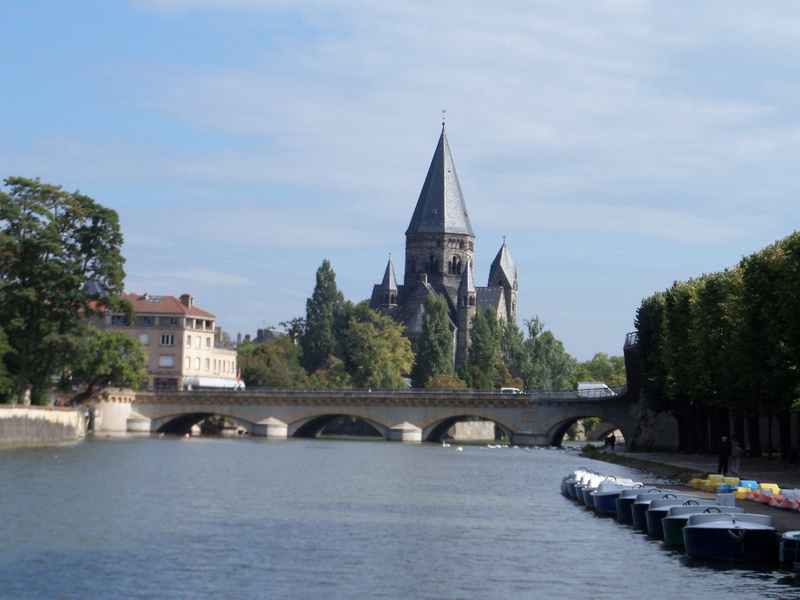 We spent several days back in Toul enjoying the recently returned sunshine and making friends with other boaters. Matilda Rose came as moored up so we spent a few lovely days with Graham and Jill with whom I visited a local wine cave. Remember Absolutely Fabulous when Edina and Patsy went to France? We got to taste all the wines and turned back to our respective boats slightly squiffy and laden down with purchases. We all visited a local Tabac the following day for a few drinks and got chatting to some local characters. One of whom took a shine to us. Jean – Claude (known as Rocky to his friends) was determined to buy us bottles of wine but then seemed very keen to come and visit us with a bottle of Whiskey. At this point we left as tactfully as we could and hid for the rest of the evening. 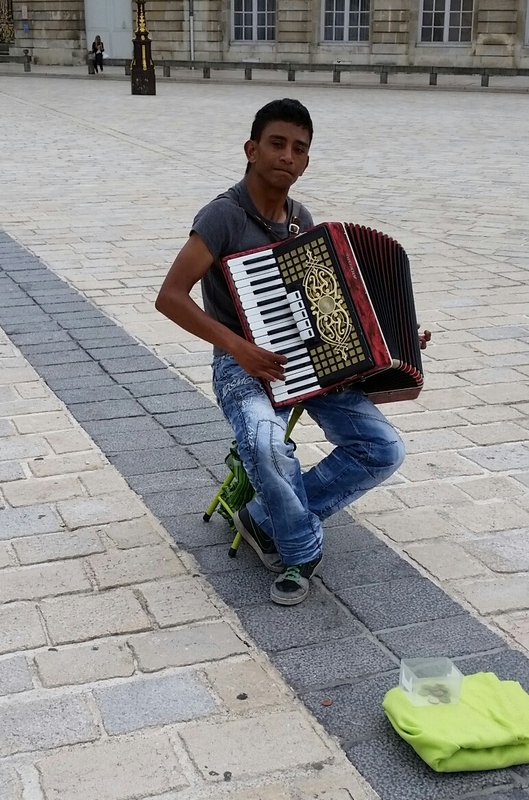 We decided to follow Graham and Jill to Metz. Not on our route but it promised to be a nice trip and Metz has a good reputation so off we went. We stopped off overnight in two different places (I have no idea where) before finally reaching Metz. We were greeted by a wonderful view. We moored up on the local town moorings and have spent the last two days wandering the city, eating out, shopping and absorbing the atmosphere. Yesterday we had a delightful and fun evening aboard Matilda Rose with fellow boaters. 4 Aussies, 4 Brits, 2 guitars and a curry. Plus Graham cooked a magnificent fig tart. Oh and copious amounts of wine. Enough said. Today has been spent mooching about, shopping and a few chores. Tomorrow it’s time to move on again. 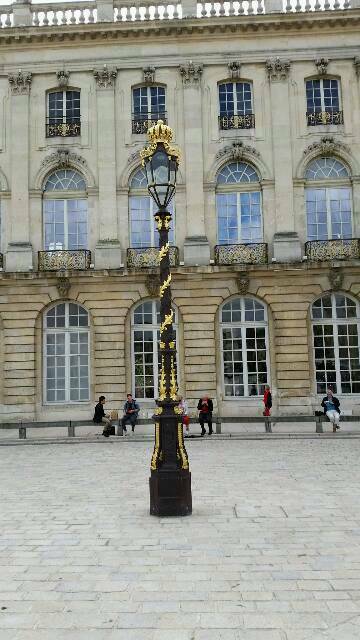 We spent a delightful day in Nancy, sightseeing and shopping … boy are there some great shops there … We retired for the night only to be woken at around 2.30am by Herbie barking. He was told to be quiet and we went back to sleep. Kev got up for a wee a bit later and happened to look out of the porthole … The scenery had changed. Then he realised that we had had our ropes released. Luckily we were in a safe area and it didn’t take very long to move to the other side and tie up safely but it was horrible. Why do people do things like that? 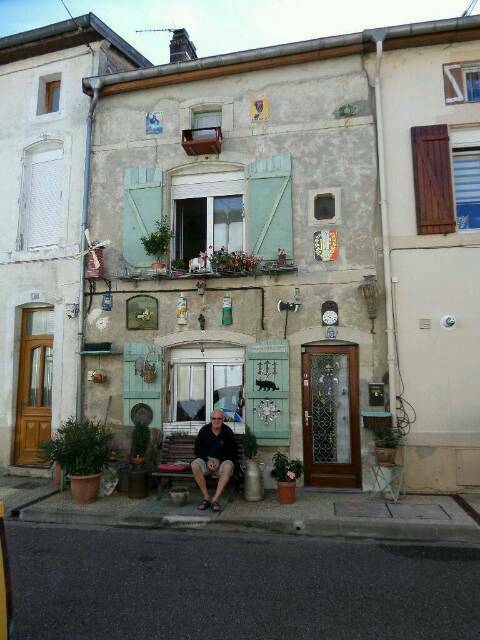 Next morning (yesterday) we walked the dogs then left Nancy to make our way back to Toul meeting a lovely couple, Janet and John, on the way. Annoyingly I can’t remember the name of their barge … I think it was Janske or something similar. We paired up through a few locks en route. Thankfully the route we took had a lot less locks than going towards Nancy and as it neared 6 pm we decided to wild moor a couple of miles outside Toul. Quite literally in the middle of nowhere but with an excellent satellite signal and wifi connection. As our water was getting low we decided to try out the water filtration system for the first time. I now have a full tank of purified drinkable water – all from the river! Today we are now in Toul and have just investigated why Teddy keeps washing his paw. Yes, a grass seed (again). 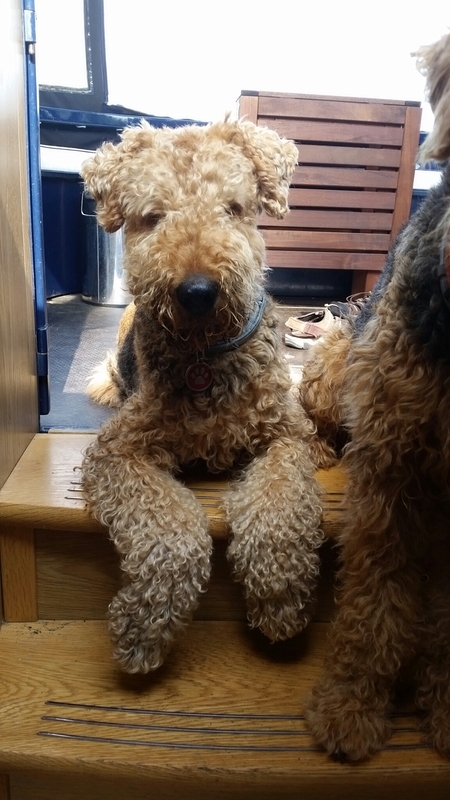 I am seriously thinking of putting boots on him … he’s already lost part of his foot due to the same reason and I don’t want that to happen again! So now I’m about to restock the rather empty looking fridge and Kev has disappeared to find fuel and to chat up the local seamstress in the hope that she will mend our canopy. 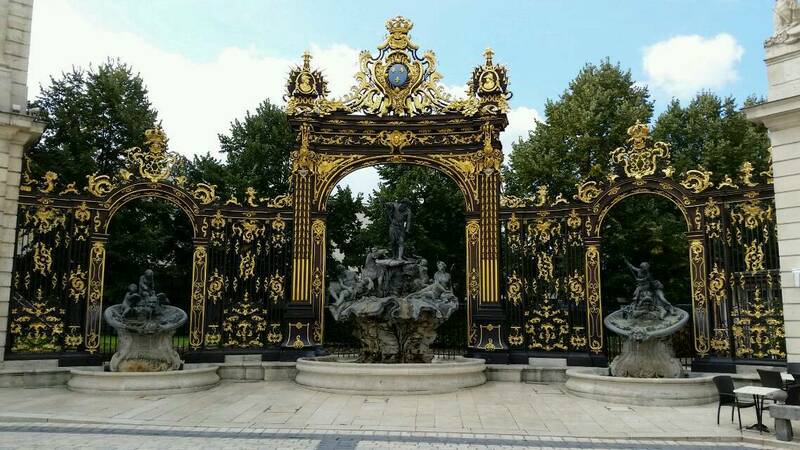 Yesterday (and after a night in the wilderness after too many locks) we finally arrived in Nancy. We have moored up at the town moorings which Herbie loves as he can use the space as a race track. At first I thought “this doesn’t look too impressive” but reserved judgement and I’m glad I did. At 10 pm each evening there is a light show in the square so off we went to check it out. What a surprise! Firstly the square is magnificent and secondly the show was amazing. 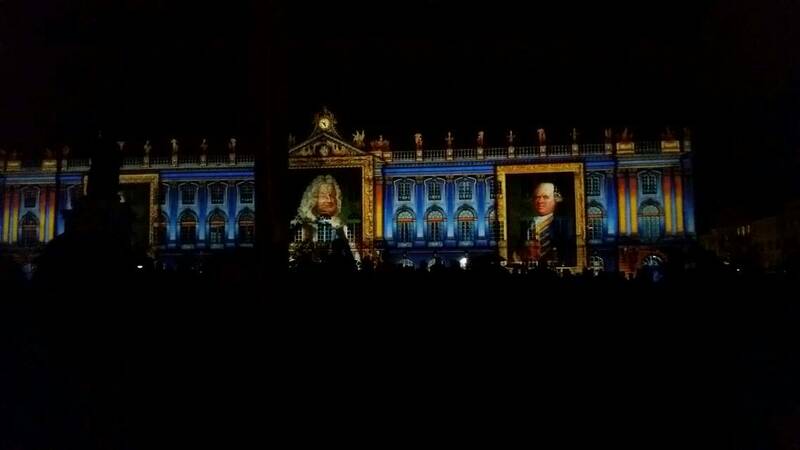 All projected onto the town hall. So this morning off we went to explore the city after having the most delicious and decadent burger ever, and I found the shops and had a lovely time ooing and ahhing at the upmarket stores (with upmarket price tags) and treating myself to a few things (I needed them!). Afterwards we took the road train which took us around Nancy showing us some of the sights.